After the story that ten (10) frail, elderly residents died in a nursing home in Hollywood Hills, Florida following Hurricane Irma made national news, professionals who work with elders and family members or friends with a loved one in a facility were forced to confront the flimsy emergency preparedness plans of those facilities. Most people never thought to worry that the facilities charged with caring for the most vulnerable adults in our society would fail to have basic emergency preparedness plans. Most were shocked that these facilities were unable to care for the vulnerable residents or evacuate them in a time of emergency. According to the Centers for Disease Control, approximately 1.4 million people reside in nursing homes and 800,000 in residential care communities. As of 2014, approximately 8.7 million people received long term care services from nursing homes, residential care communities (assisted living facilities and similar homes), adult day centers, home health agencies, and hospices. Each of these providers are required to have emergency preparedness plans. However, those plans are often insufficient and under staffing may make them impossible to implement. In essence, many facilities may have a plan on paper to comply with federal or state regulations, but nothing more. However, even when federal rules, require those plans to be in working order, a facility’s failure to comply is met with little or no consequence. Following the deaths of 35 nursing home residents during Hurricane Katrina, elder advocates fought for rules forcing facilities to have appropriate emergency preparedness plans to protect and save the lives of residents. After 12 years, those new federal rules are to go into affect on November 16, 2017. Not soon enough to save the lives of 10 elderly residents in Hollywood Hills, Florida. According to the Center for Disease Control, individuals age 65 or older are more susceptible to heat related illness. Elders living in nursing homes, residential care communities, and assisted living facilities are frail due to chronic diseases, dementia, and general ill health, and even more at risk from extreme heat. The facilities in which these elders live are designed and staffed to protect elders from and assist elders in avoiding harm. They are paid significant sums of money to assist and protect their residents. However, in the wake of natural disasters and other emergencies, facilities are often found to be unable to provide even the most basic protection to those in their care. Abuse (elder abuse) is any act or failure to act performed intentionally, knowingly or recklessly that causes or is likely to cause harm. It can include the omission or deprivation by a caretaker or another of goods or services which are necessary to avoid physical or mental harm or illness. The facility in which the frail residents who died after Hurricane Irma lived was to provide them with goods and services that kept them from physical or mental harm or illness. This included working air conditions, monitoring to ensure the effects of lack of air conditioning were not causing physical or mental harm, evacuation when conditions became unlivable, and calling in emergency services to help struggling residents. None of these services were provided to the residents of the Hollywood Hills, Florida nursing home. While facility personnel made several calls to the utility company and the Florida governor’s office, no one called emergency services to assist its residents as they boiled in the heat due to lack of air conditioning. Account after account demonstrates that facility staff and administration were aware that residents were struggling in the hellacious heat. It was only after the hospital (located across the street from the facility) received three (3) patients that were dying or dead with core body temperatures of 107 degrees or more that emergency services were called. It was the hospital staff that called, not the nursing home staff. After emergency officials forced a facility evacuation and discovered several more dead patient, the nursing home even doctored its records to attempt to hide its failure to provide those services. Unfortunately, the Florida legislature has exempted nursing homes from civil actions for abuse, even in such inhumane and brutal, preventable circumstances as this. 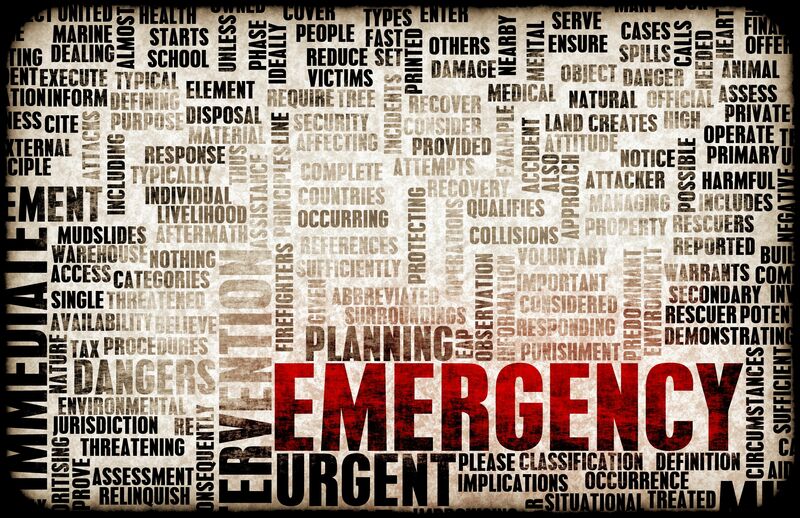 Now, as Florida politicians scramble to look like they are protecting elders with new rules, new legislative proposals, and tough statements about the tragedy, everyone is focused on whether the facilities have appropriate emergency preparedness plans. No one has yet publicly stated the obvious: the failure of facilities to have appropriate emergency preparedness plans and staff trained to implement them is one more form of elder abuse. The Hollywood Hills, Florida example of the consequences of this failure leaves no question that this is abuse. In the coming months, as the memory of the horrors in the Hollywood Hills, Florida nursing home fade, politicians and lobbyists will begin debating the “cost benefit analysis” of requiring facilities to have real plans to maintain facilities for just a few days following disasters to protect their residents. As always we will hear lots of talk about the facilities being unable to bear the costs of generators, fuel, insurance, etc. We must work to ensure that the lives of the frail elders who depend on these facilities for life sustaining care are not the ones paying the costs by being left in sweltering facilities without water, food, or staff to assist them.